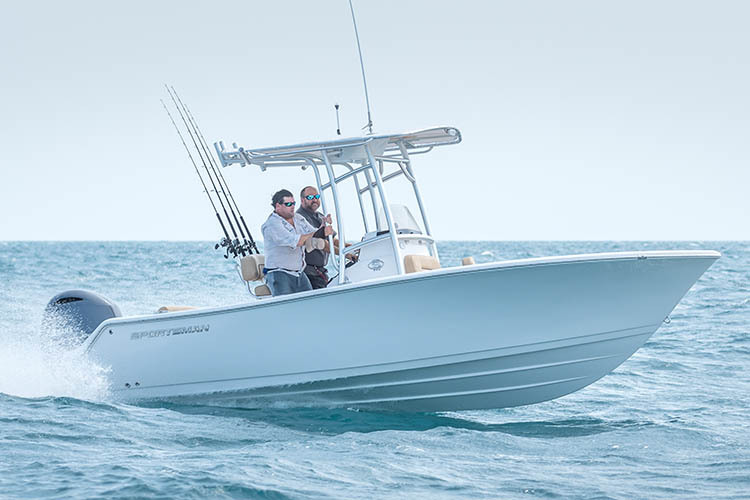 The Open 312, is the ultimate family-friendly center console. 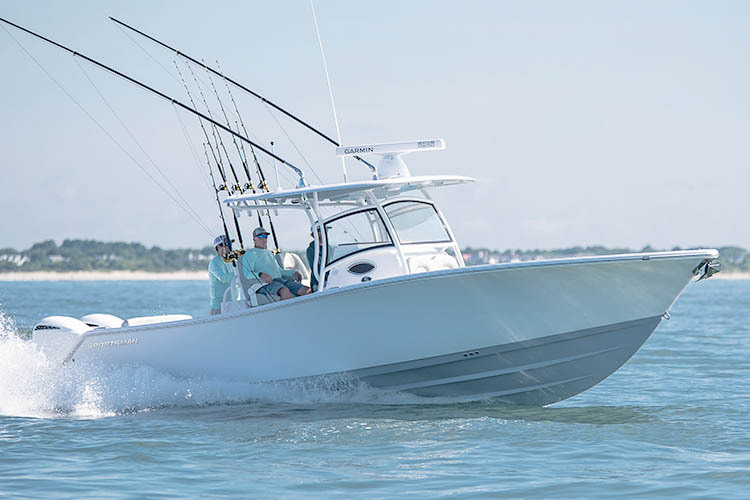 The elegant hull design is sure to turn heads everywhere you go. Peeking inside, the spacious cockpit layout suits itself well for entertaining and offshore fishing alike. It has a perfect harmony of luxury, function and comfort. A lifetime of family memories await. 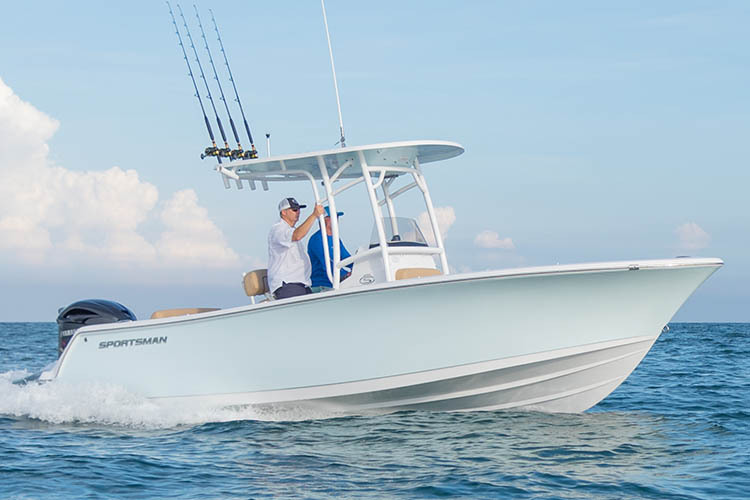 (2) Garmin GPSMAP® 8617 MFD 17"
The Open 282 is designed for those looking for a great all around boat that is big enough to entertain and fish offshore but with all of the creature comforts included. 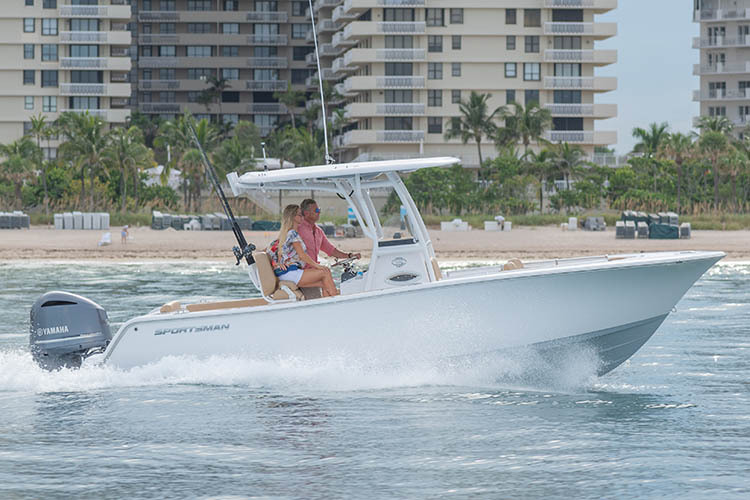 Enjoy the electronically actuated bow table that turns into a sunpad, or the easy dockside loading through the side entry door. 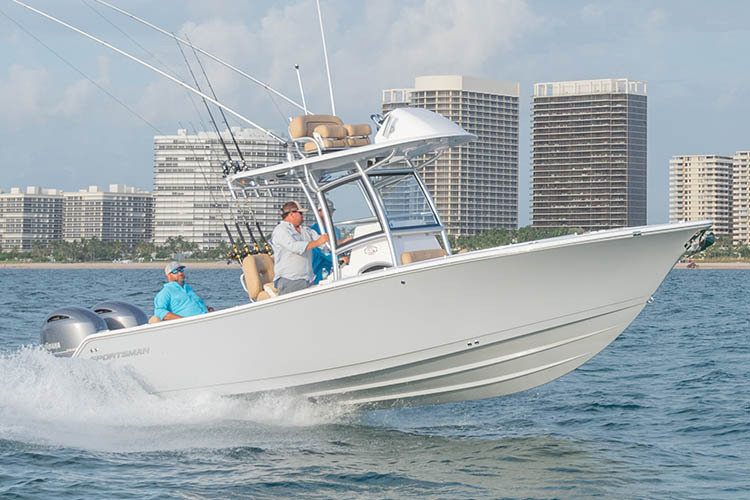 For those that like speed, a pair of Yamaha 300HP outboards is sure to make her go. 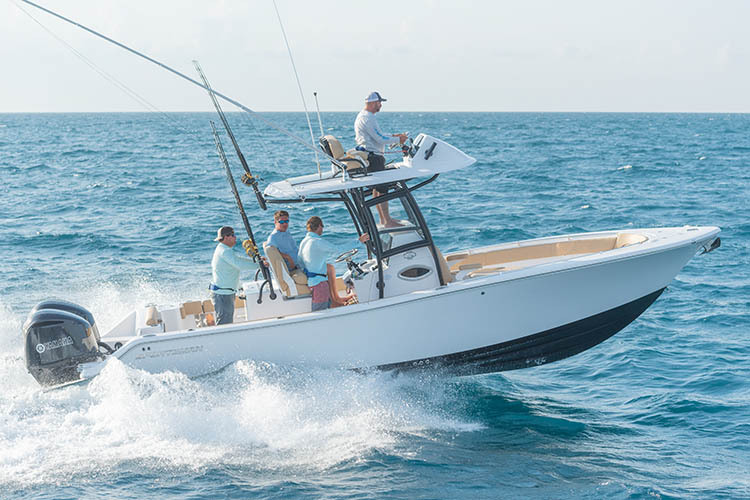 As the newcomer to the Open family, the 242 is built for serious fishing. 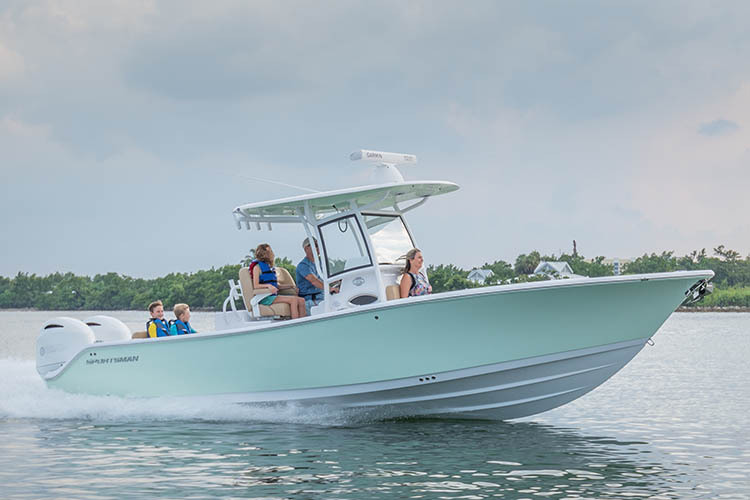 Ready to perform with a standard fiberglass hard-top, a full size console with inner liner, 12” GPS display, upgraded leaning post seats and plenty of room behind the leaning post. On the starboard side, you will find a large 25-gallon livewell. This model can be powered with up to a 300HP Yamaha engine.